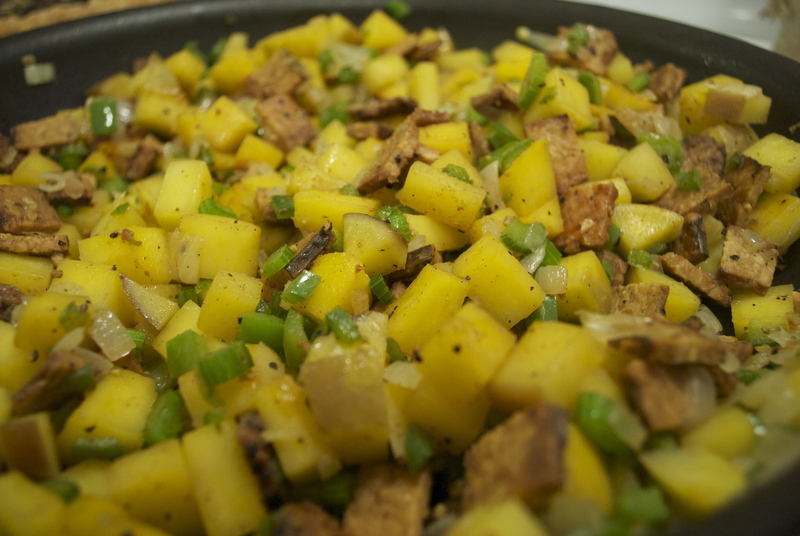 Rutabaga Hash w/ Peppers & Tempeh Bacon. 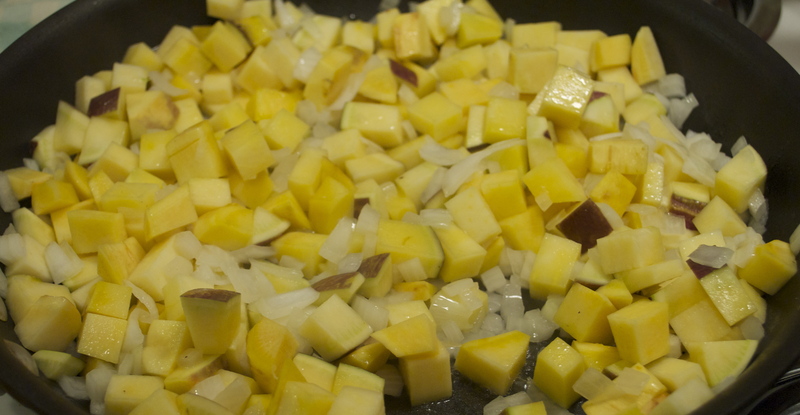 So I told you about my search for rutabagas. At one point, I was really frustrated. I have never found myself looking so hard for something that I usually see everywhere and never care about. Sigh. Anyhow, it was delicious hash in the October issue of Sunset magazine that inspired me. 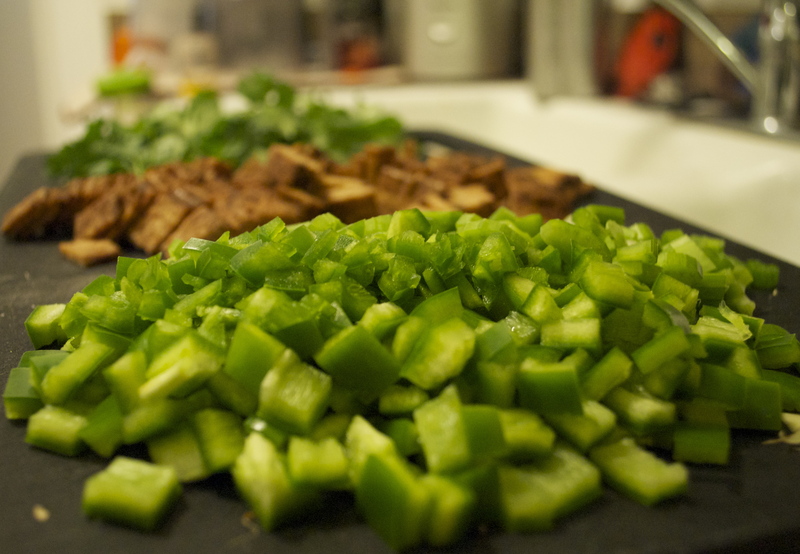 The recipe was a simple mix of garlic, Anaheim and jalapeno peppers, onion, cilantro, rutabagas and tempeh bacon. Sauteed together (cilantro added at the end) and with a fresh crack of pepper and sprinkling of salt. Perfect. Peppers, Tempeh Bacon & Cilantro. Warm Hash for your Belly. ← Lobster Mushroom & Corn Risotto. That looks like such a satisfying meal! And I know what you mean, rutabagas (swedes) are something I feel like I see everywhere but never think to buy!